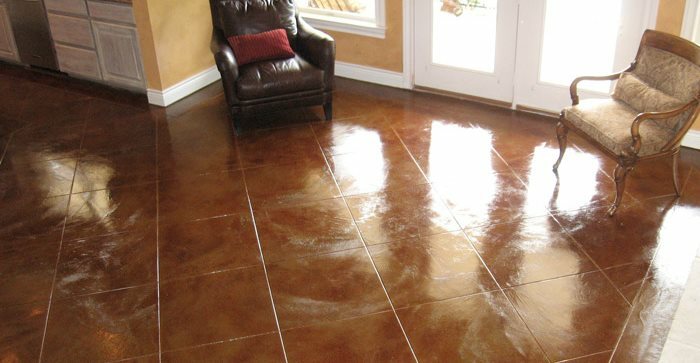 Although they don't sound exciting, brown concrete floors are one of the most popular types of colored concrete floors. Of the popularity ranking in The Concrete Network's photo gallery, concrete floors-colored in warm, brown natural hues-were the most often viewed images. 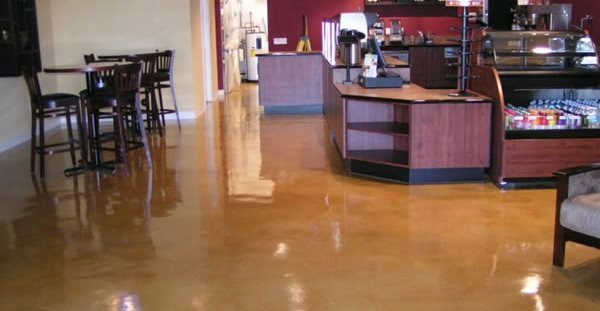 Of all the colorful options available with concrete coloring products, why would homeowners, business owners, designers, and builders choose brown to color their floors? The top three reasons below probably won't surprise you. 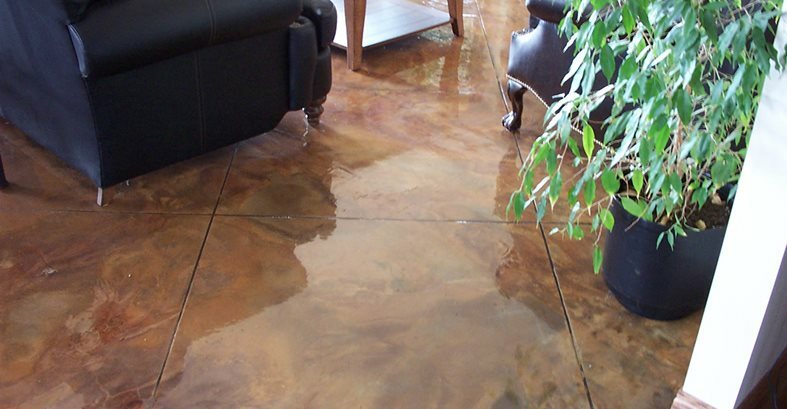 But regardless of why, it's probably best to look at the photos and see just how extravagant, inviting, and appealing a brown concrete floor can be. 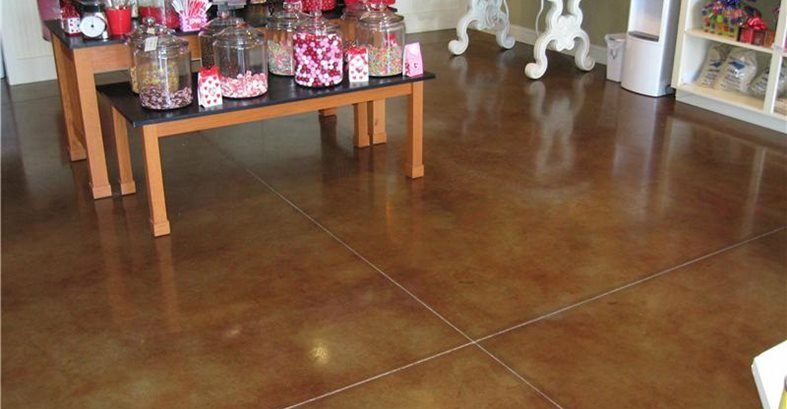 Concrete can produce a natural, organic surface that is amplified when colored with earth-tones and warm, calm colors. Doug Armitage of General Concrete Finishers in Moose Jaw, Saskatchewan colored approximately 1,200 square feet of concrete floor space and "the result was a stunning resemblance to marble and natural stone with mottled colors that added depth and warmth to the home." View the project. 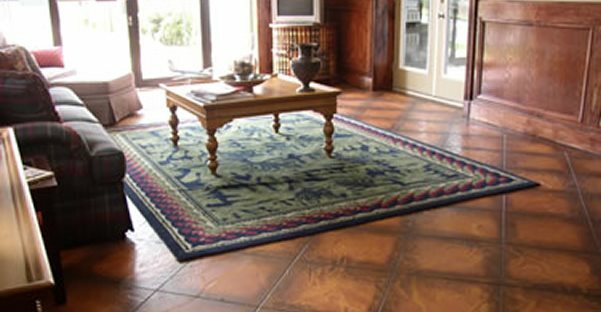 Brown concrete floors are a great neutral color for creating a warm base-tone and complementing with other accents such as more colorful furniture, artwork, etc. 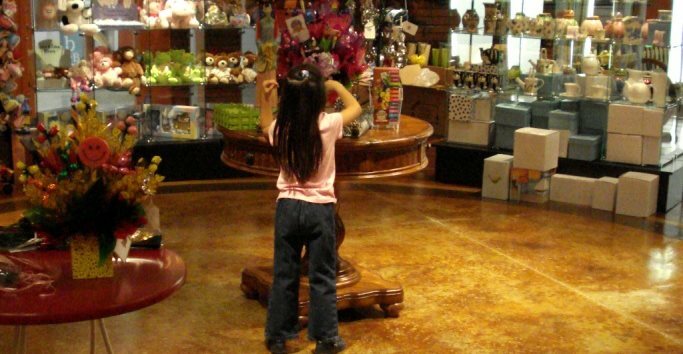 Many designers select brown because it visually adds depth to a floor. On the concrete floors of this project, a lighter-colored golden wheat chemical stain from Kemiko was used in the kitchen. In the adjacent great room, a richer look was achieved using a Scofield dark walnut stain. The two worked beautifully together while still providing room separation. In the study of the same home, the contractor, Lorena Herriot of Image-N-Concrete, decided on the same dark walnut color used in the great room but with a stronger mix to achieve a deeper darker color. The intent was to create a masculine look to blend with the walnut paneled walls. Brown Stained MicrotoppingConcrete Arts, Hudson, Wis.
Brown Office FloorsLife Deck Coating Installations, San Diego, Calif.